Calling all SF and Fantasy lovers, there's another new release, and this time from Cape Town-based artist, writer, musician and film-maker Nikhil Singh, whose debut novel Taty Went West will be launched by Kwani Trust as part of the fifth edition of Kwani? Litfest, a biennial gathering of writers, artists and thinkers from across Africa, taking place in Nairobi from 1st-6th December 2015. Described by Lauren Beukes as ‘a hallucinogenic post-apocalyptic carnival ride’, this stunning debut novel was longlisted for the 2013 Kwani? Manuscript Project - a one off literary prize launched in April 2012 for unpublished fiction from African writers across the continent and in the diaspora. Taty is a troubled adolescent living with her equally troubled mother in the suburbs of the Lowlands. In a moment of uncontrolled anger she finds her life changed forever and, hiding a terrible secret, she becomes a runaway, heading West into the Outzone. When she is captured by a malicious imp, befriended by an evangelising robotic nun and wooed by a transgender hoodlum, it soon becomes clear that this is no ordinary adventure story. 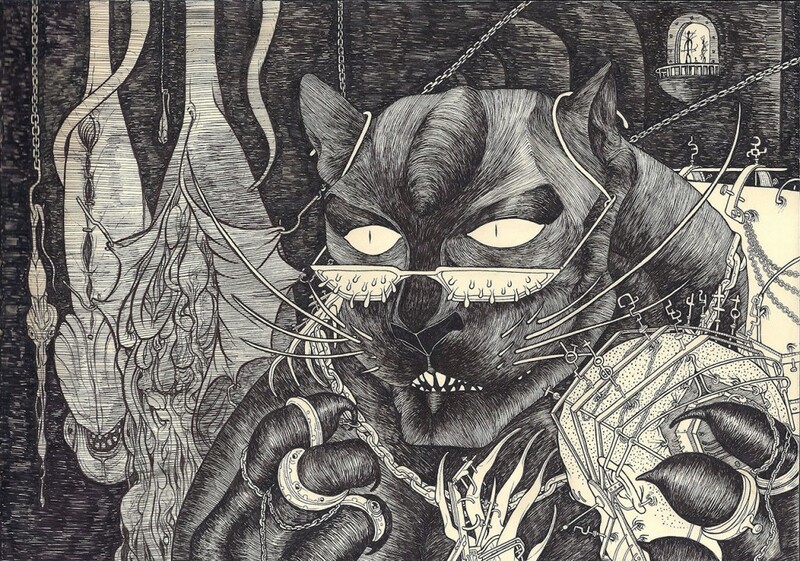 With moustachioed wrestlers, marauding Buddhist Punks, a feline voodoo surgeon and the enigmatic presence of the disfigured Dr Dali, Nikhil Singh has created a unique universe and a heroine whose petulant nonchalance hides a mighty spirit. As Taty navigates the collapse of an already chaotic society, struggling against present danger while confronting the demons of her own past, her story is narrated in prose that soars with elegance and swagger in equal measure. 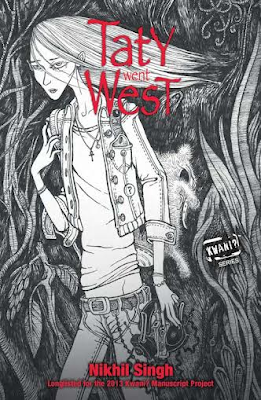 'Taty Went West' is an introduction to an electrifying new talent – an imagination unfettered by any known convention. 'At a time when the African story is undergoing a renaissance through the blurring of literary and genre fiction, Kwani Trust is delighted to be part of bringing Taty - a new kind of literary African heroine - into the world. Savvy, ultra-modern, Taty straddles the mediated realities of our own continent and the ground-breaking possibilities of our ongoing universal imaginaries. Artist, writer, musician and film-maker, Cape-town based Nikhil Singh is all kinds of talented. He has fronted the critically acclaimed South African art-rock bands The Wild Eyes and Hi Spider, as well as a plethora of solo albums under the moniker ‘Witchboy’ (released on Aural Sects). 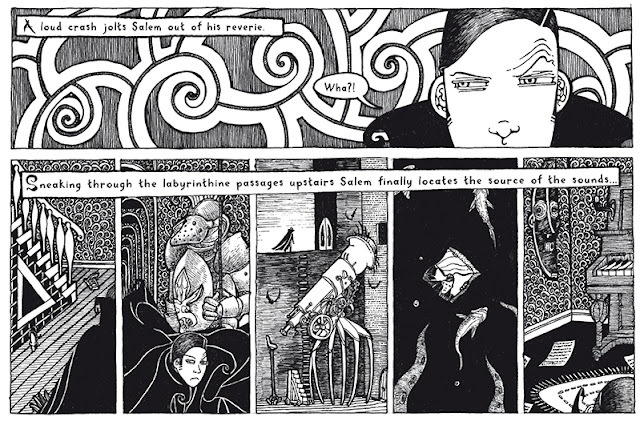 He has illustrated graphic novels: The Zuggart (Bell- Roberts 2003) by The Constructus Corporation (now Die Antwood) and Salem Brownstone with writer John Harris Dunning (Walker Books 2009). His short fiction has been published by Jungle Jim and Chimurenga. Taty Went West is his first novel. Seriously, Nikhil Singh is gifted! 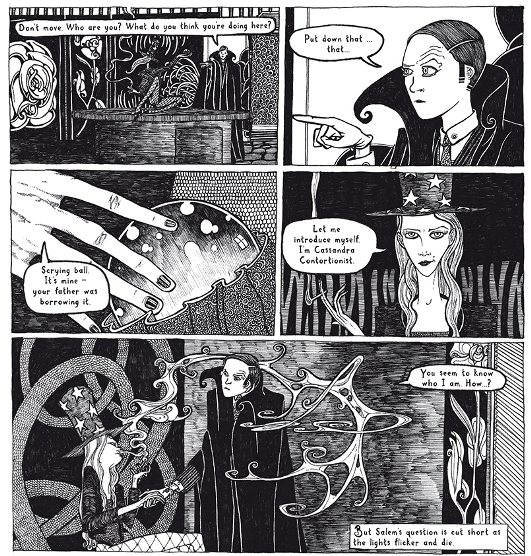 Check out some of his exquisite, Gothic illustrations for Salem Brownstone (which I have already ordered!). ... and then check out this interview he did with The Lake where he talks about his beliefs ('I believe in many kaleidoscopic things. 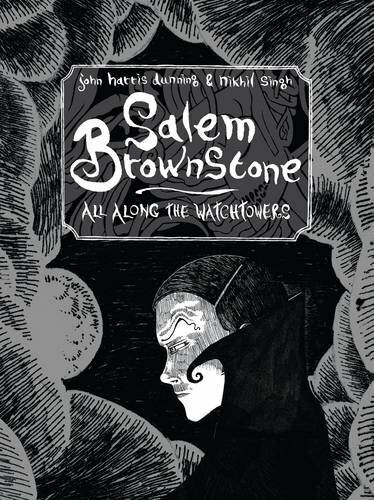 '); a film he made in about a month without a budget; Salem Brownstone (' ... it was very much a tribute to an old style of children's book that I kind of dreamed about when I was a kid. Haunted houses, spooks and carny freaks, etc. 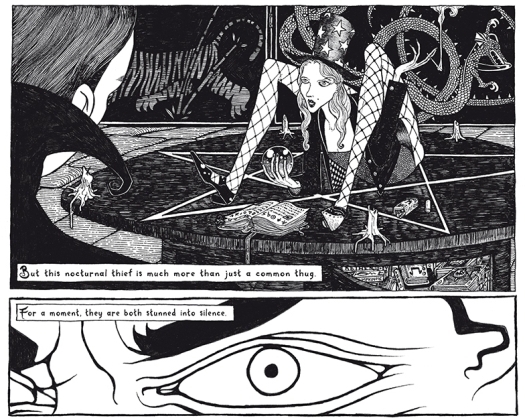 '); Taty Went West ('Taty is the first book in a trilogy prose cycle ... [it] is also heavily illustrated, perhaps leading to confusion about it being a graphic novel.') and more. As well as this one with The Star, in which he explains how he was trying to go against the 'over-sexualised' female characters in science fiction, and how instead he 'really wanted a real girl, someone not so outstanding'. Taty Went West is published in paperback with 50 illustrations and is currently available in bookshops across Nairobi (KSh 1200) and to order from here. It is the third novel to be published in the Kwani? Manuscript Project series, following Boy, Interrupted by Saah Millimono (February 2015) and Jennifer Makumbi’s Kintu (June 2014). eBooks editions of the first two novels in the series will also be launched at 2015.